I am a contributor to the I Still Matter. org benefit coloring book! It’s a compilation of 52 global contemporary artists, each page is individual and unique. 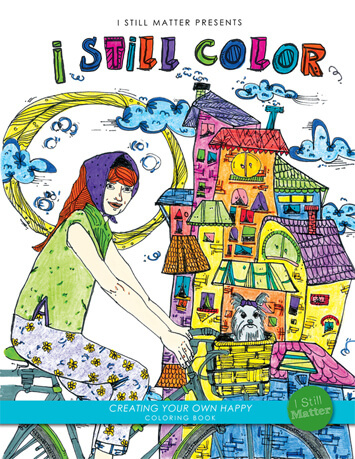 This coloring book features: 52 unique images, Perforated pages, One image per page, Printed locally in Jacksonville, FL. Proceeds from coloring book sales go toward generating weekly art groups for individuals living with mental illness along with their family members, friends, loved ones and advocates. Click and get your copy!